When it comes to building maintenance responsibilities, you might believe you can ignore the little issues. You’ll get around to fixing that when there’s time. Right? The problem with this approach is “little” issues quickly become big problems. And what may have been a reasonable repair suddenly balloons into a major overhaul. That’s why it’s so important to ensure you have a team in place, ready to tackle any task, big or small. First and foremost, the well-being of the people who spend time in your building is of utmost importance. The recent building fire in London is a perfect example of what happens when repairs are slipshod at best and ignored at worst. Flames gutted one hundred and twenty apartments, and over thirty people lost their lives. Think of it this way: do you want to make the newspapers because you failed to repair something like old electrical conduits? No. Your building represents a significant investment. To maintain a premium dollar value, it’s important to keep that investment in prime shape. Regular, professional building maintenance ensures the building is not only functional but maintains the aesthetic appeal required to command top dollar. Did you know it can cost double, or even triple, to repair the preventable damage? 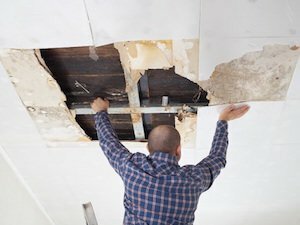 Think about it this way: would you rather pay to fix a small leak now, or repair the floors, walls, and other damage that comes from a burst pipe? Staying on top of maintenance ensures you catch problems before they occur. Depending on how you use your building, failure to properly maintain it can be grounds for an OSHA violation. Electrical hazards, mold, and a number of other common maintenance issues result in over forty thousand OSHA fines each year. It’s a no-brainer: hiring a company to maintain your building and ensure its safety and security is just good business. First and foremost, ensure the company you’re working with has proper licenses and insurance. This protects your business from any liability lawsuits and is the bare minimum for any reputable company. Next, understand your needs. Is the building brand new? Or new at the turn of the previous century? The age and condition of the building will dictate what kind of services you require, as well as how often you’re likely to use them. Retail Contracting Service is your one-stop shop for all your building maintenance needs. We can provide repairs and maintenance for all construction trades, in a streamlined and cost-efficient manner. Call us today at 877-217-3335, and let us handle all your building maintenance responsibilities.